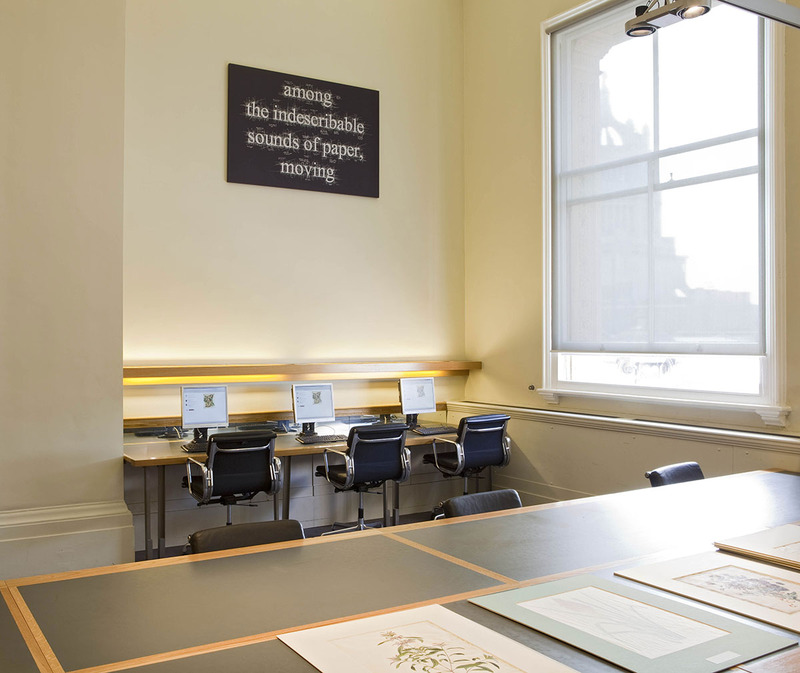 Site-specific commission for the V&A Prints and Drawings Study Room; on permanent display. Purchased by Robert Breckman on behalf of his late wife Julie. Preparatory drawing also held in the V&A collections. Photographs courtesy of the V&A.